On cold winter days, a hot bowl of soup or something spicy seems to be the most delicious meal. Whether it’s after a long day, or just a day full of laziness, comforting hot food is the best. 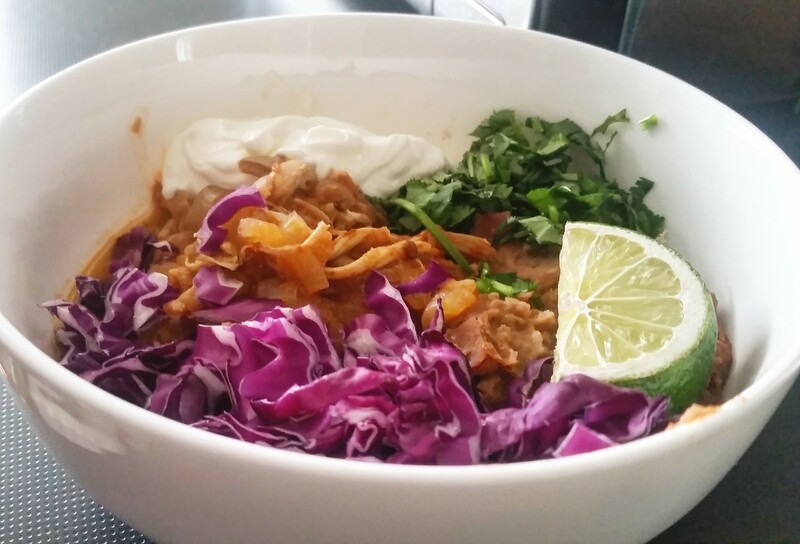 For me, my favorite dish on cold days is my stepmother’s Tinga De Pollo. It’s hot and saucy, spicy and soothing. It’s a countryside Mexican dish that’s full of comfort, like chicken noodle soup, the spice, and warmth needed to endure the winter, and it’s it’s even a low-calorie dish, so you won’t have to feel guilty eating it! 1) In a large pot, place the chicken on the bottom and cover with just enough to cover. Add salt to water and cover with lid. Boil at medium to medium-high heat for 20 minutes. Skim off the scum from the surface of the broth and discard. 3) In the same pot, add the oil and 2 pounds of sliced onion. Turn stove on medium heat, stir and cook for about 10 to 15 minutes, or until the onions have softened, browned, and caramelized. 4) While your onions are browning, score the tomatoes and peppers and add to saucepan or small pot. Fill just enough to cover the vegetables and boil at medium-high heat for 5 to 7 minutes, or until the skins of the tomatoes start separating from the flesh. Drain water, and let tomatoes and peppers cool off for 5 – 10 minutes before peeling skins and deseeding. 5) Turn large pot to low heat and add chicken. 6) While the chicken is cooking, add the tomatoes and peppers to a blender, the garlic cloves, and the ½ can of chipotle peppers with adobo sauce into the blender. Pulse 5 or 6 times, then add ½ cup of the reserved chicken broth into the blender to create a smooth sauce. 7) Add the sauce into the pot of chicken and coat everything inside. 8) Depending on how thin or thick you want this dish, add 1 ½ to the remaining broth into the pot and cook on medium for ½ hour or low for 1 hour. 9) Serve in bowls and garnish! My favorite way is to garnish with limes, cilantro, cabbage, radishes, and a little bit of cheese on top of a crunchy tostada for the texture. Otherwise, corn tortillas or eating with rice is just as filling and delicious. This entry was posted in Chicken, Cooking, Diet Tips, Food, Grocery, Health Tips, Healthy Eating, Produce, Recipes and tagged chicken, food, Health, New, Recipe, winter. Bookmark the permalink.